Eielson Air Force Base is located 26 miles southeast of Fairbanks, in the interior of Alaska, about 110 miles south of the arctic circle. Fairbanks has about 88,000 people and boasts many of the services you would find in a similarly sized city in the lower 48. The city of North Pole, where the spirit of Christmas lives year round, is located just 8 miles from Eielson. North Pole is a small friendly community with a basic selection of services such as: dining, service organizations, parks, churches and events throughout the year. Eielson boasts hiking, fishing, canoeing, dog mushing, cross country skiing, snowmobiling and some of the best Northern Lights Shows in the world. Eielson is in a high cost area. Service members and DoD Civilians on base are provided COLA. The 354th Fighter Wing has a long and illustrious past. Since its constitution in 1942, the unit has seen action in every major conflict in which the United States has been involved, except for the Korean Conflict. From the skies over Germany to the sands of Iraq, the 354th has performed with distinction. Originally, dubbed "Mile 26," in 1946, the area was renamed Eielson AFB after famed arctic aviation pioneer Carl Ben Eielson. The 354th Fighter Wing is the host unit at Eielson Air Force Base and is assigned to 11th Air Force, headquartered at Elmendorf Air Force Base near Anchorage. Eleventh Air Force falls under Pacific Air Forces, which is headquartered at Hickam Air Force Base, Hawaii. The wing supports operations, maintenance, mission support, and medical group functions and is host to ten tenant units. The wing operates and maintains PACAF's largest air-to-ground bombing range complex and conducts PACAF's premier large force exercise, Red Flag - Alaska. Eielson supports the operations of the 168th Air Refueling Group, Alaska Air National Guard, which operates KC-135 aircraft in support of PACAF operations. The wing hosts the USAF Arctic Survival School (AETC), the Alaska ANG Search and Recovery Det 1, which operates HH-60 helicopters, and Det 460 of the AF Technical Applications Center. Eielson supports the 13th Space Warning Squadron at Clear AFS. Eielson AFB serves a population made up of over 6,900 active duty, guard and reserve, family members, civilians, contractors, and retirees. There is no base transportation at Eielson AFB such as taxis for transportation from building to building. There is transportation available from downtown Fairbanks onto Eielson Air Force Base. You must have valid Military ID or Visitors Pass to get off the bus while on Eielson Air Force Base. The Fairbanks North Star Borough Metropolitan Area Commuter System (MACS) Black Line route connects Salcha, Eielson AFB and North Pole to downtown Fairbanks. 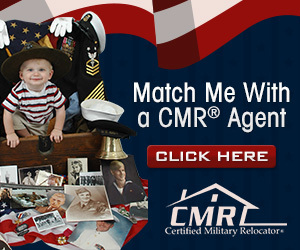 Active Military, Dependent, Children, and Senior rates are available. For University of Alaska Fairbanks students there are also rates available. For more information and to see the bus schedules, please visit the website. Once your gaining organization has received confirmation of your PCS, they will assign a sponsor to you. Your sponsor should provide you with an Eielson sponsor package that has information about the local community, including housing, schools, employment, and any other information they think you will need. Your sponsor should also provide you with information about your gaining organization, including the name of your Commander and First Sergeant. Keep your sponsor informed during your PCS. If your arrival plans change, be sure to contact your sponsor. Your sponsor will be responsible for welcoming you to the base and your organization. Your sponsor will assist with pre-arrival arrangements, answer questions, meet you personally upon arrival, and ensure your move to Eielson goes smoothly and all your in-processing needs are met. Your mail can be forwarded to Eielson AFB at the following address: Your Name, 365 Kodiak Street Stop 2000, Eielson AFB, AK 99702. Please do not use your work address as this will delay delivery. You can forward your mail and packages 30 days prior to arriving at Eielson. Due to limited space, please do not mail large packages prior to two weeks before arriving. When you arrive at Eielson, you can pick up your mail at the Postal Service Center located at 365 Kodiak Street. We are open Monday-Friday 0730-1700. If you have any questions or need special assistance, you can contact the Eielson Postal Service Center at 907-377-1841 or at DSN 317-377-1841. 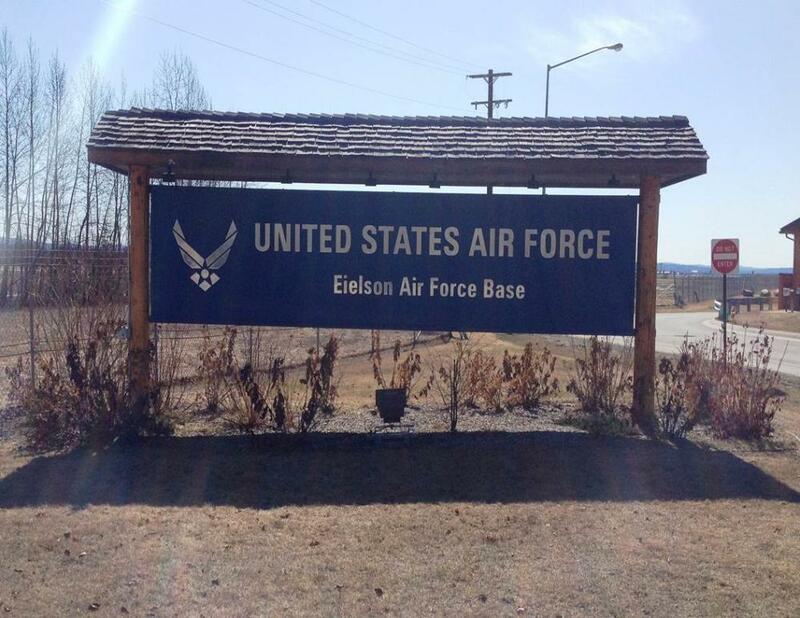 Eielson AFB is 26 miles south east of Fairbanks, on Alaska Highway 2, known as the Richardson Highway. If you are driving the Alaskan Highway follow the signs north toward Fairbanks. You will pass through the small communities of Tok and Delta Junction before you arrive. Alaska has a very limited road system, so if you stay on Alaska Highway 2, you can't miss Eielson AFB. If you are planning to drive the Al-Can highway you will pass through some very remote areas. There are also many attractions and sights to see along the way. We strongly suggest picking up "The Milepost". This book includes mile by mile logs, detailed maps of all northern highways and information on all communities and locations along the way. If you will be driving the AL-CAN you can have your sponsor come by the Airman and Family Readiness Center and pick up a copy of the Milepost to send to you for free. As of January 08 you will also need a passport to cross the Canadian border. Be sure to have all appropriate paperwork in order. It is highly encouraged that those traveling via POV have a passport when crossing into Canada. 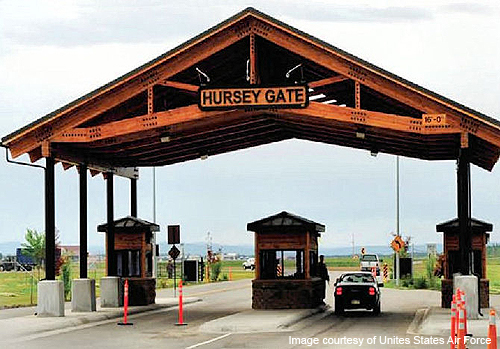 If you are driving or taking the ferry to Alaska; in lieu of a passport, the Foreign Clearance Guide (FCG) provides for military members to enter Canada, with a military ID and DoD travel orders. Eligible family members (listed on member's orders) require a no-fee passport. Your losing Military Personnel Section should be able to assist with these passports Border control officials may ask for another form of ID (i.e., US passport (Official or Tourist), US birth certificate, US driver's license, etc.). For more information go to: https://www.fcg.pentagon.mil/docs/ca.cfm. Be sure to have all appropriate paperwork in order. Many members choose to take the ferry rather than drive the Al-Can. Members typically board the ferry in Bellingham, Washington and disembark in Haines, Alaska. They can then follow the highway up to Eielson. Members should be aware that they will still have to cross through Canada if taking this route and have all appropriate paperwork available. When you arrive at the front gate you will show an ID for all passengers over age 10 and proceed to the Gold Rush Inn for check-in. Eielson is serviced by the Fairbanks International Airport. There are no shuttles or buses to Eielson. Rental cars are available at the airport but will not be reimbursed by the government. When leaving the airport proceed down Airport way to the Richardson Highway and bear right. You will see Eielson AFB on your left approximately 25 miles down the road. Be sure to let your sponsor know if you need them to pick you up from the airport.